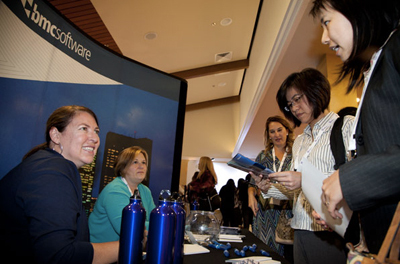 The 2016 WITI Summit will host a collocated Expo, with a new format, different than our past Career Fairs. The Expo will take place in the “town square” instead of in a separate expo hall, so you are always in the middle of the action, and have opportunities to visit exhibitors and sponsors on your own schedule, in a relaxed setting. More than 40 top companies with a demonstrated interest in empowering women to succeed in technology will display products and services. Career development will also continue to be a focus. Exhibitors will have both HR executives and product managers (and top C-level management as well!) ready to speak with you! Plus, each pass includes entry to two Tuesday afternoon breakout sessions!